Lisbon being one of the major economic branch in the continent has evolved as the epicenter of employment generation. 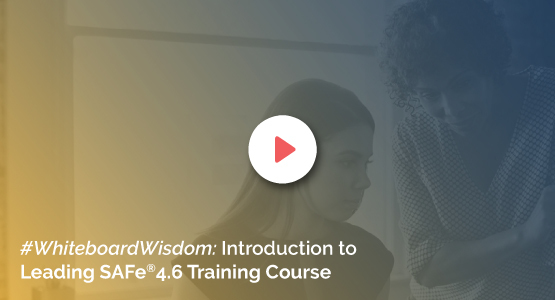 KnowledgeHut is now providing professionals with Leading SAFe 4.5 course in Lisbon to help them cope up with enterprise changes and embracing hows and whys of Agile. Being a Certified Education Provider and the Silver Partner with Scaled Agile, KnowledgeHut has received a lot of appreciation from practitioners of different organizations. Our 2-day Leading SAFe 4.5 training in Lisbon mainly focuses on enhancing one?s understanding of Scaled Agile Framework. The entire course has been modeled in a way to make professionals capable of leading agile transformation within an enterprise using the Scaled Agile Framework and its principles of flexibility, lean thinking, and product development flow. On successful completion of Leading SAFe 4.5 training in Lisbon, professionals will master all the advanced concepts of Scaled Agile Framework and in turn become Certified SAFe Agilist. Our Leading SAFe 4.5 certification in Lisbon is majorly intended for professionals such as executives, development/QA/program managers, change agents (coaches). Along with Instructor-led training from our experts, professionals will also be receiving free downloadable reference materials from Scaled Agile Framework. The entire course module is officially authored by Scaled Academy including professionals will be provided with one year membership with Scaled Agile.